PLEASE READ THESE TERMS CAREFULLY BEFORE YOU ACCESS OR USE THE SITE OR PLATFORM, OR OTHERWISE USE OR PARTICIPATE IN OUR SERVICES. BY ACCESSING OR USING THE SITE OR PLATFORM, BY USING OR PARTICIPATING IN THE SERVICES, OR BY REGISTERING TO USE OR ACCESS ANY OF THE FOREGOING, YOU AGREE TO BE BOUND BY THESE TERMS. IF YOU DO NOT WISH TO BE BOUND BY THESE TERMS, DO NOT ACCESS OR USE THE SITE OR PLATFORM, OTHERWISE USE OR PARTICIPATE IN OUR SERVICES, OR REGISTER TO USE OR ACCESS ANY OF THE FOREGOING, AND IMMEDIATELY EXIT THE SITE AND PLATFORM. 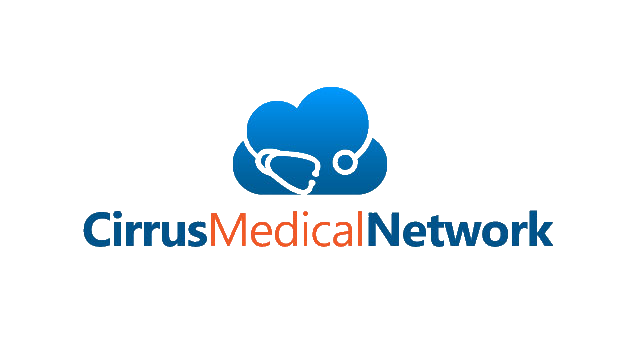 By using or accessing the Site, Platform or Services, you agree: (i) that you have read and understand these Terms and that these Terms create a valid and binding agreement, enforceable against you in accordance herewith; (ii) to be bound by these Terms and any terms, conditions or other policies of Cirrus Medical Network, as each may be amended or supplemented from time to time without notice; and (iii) that your use of the Site, Platform and Services shall comply with all applicable federal, state, and local laws or regulations, and that you are solely responsible for your compliance with, familiarity with and understanding of any such laws applicable to your use. Additionally, and without limiting the foregoing, by using or accessing the Site, you represent and warrant that you: (a) are eighteen (18) years of age or older; (b) are not currently restricted from using the Site, Platform or Services, or not otherwise prohibited from having a Cirrus Medical Network account; (c) are not a competitor of Cirrus Medical Network or are not using Cirrus Medical Network for reasons that are in competition with Cirrus Medical Network or any product or service offered by Cirrus Medical Network; (d) have full power and authority to enter into and perform these Terms, and doing so will not violate any other agreement to which you are a party; (e) will not violate any rights of Cirrus Medical Network, including intellectual property rights such as copyright or trademark rights; and (f) agree to provide at your sole cost all equipment, software, internet access and other items necessary to use or access the Site, Platform or Services. When you sign up for an account through the Site to use the Services, you will be asked to agree to the Cirrus Medical Network User Agreement and Patient Consent Form (your “User Agreement”) by checking a box or clicking on a button with terms such as “I agree” or “I accept”. In the event of a conflict between the terms of your User Agreement and of these Terms, the terms of your User Agreement shall control. As a Site Visitor, subject to your compliance with these Terms, you are granted the right to access certain portions of the Site solely for your personal, non-commercial use in connection with your evaluation of the Site, Platform or Services, and your desire to become a Registered User. You may not (i) access, view, modify or otherwise use any portion of our Site, Platform or Services not made expressly accessible to you, or (ii) modify, copy, distribute or otherwise use the Site, Platform, Services or Content, in any manner other than for such evaluation, without our express permission. As a Registered User, subject to your compliance with these Terms, you are granted a limited, non-exclusive, non-transferable, worldwide right to access, execute, display, perform, and otherwise use the Platform solely for your personal use of the Services, provided that you shall not: (i) license, sublicense, sell, resell, distribute or otherwise commercially exploit the Site, Platform, Services or Content to or for the benefit of any third party; (ii) modify or make derivative works based upon the Site, Platform, Services or Content; or (iii) reverse engineer, reverse compile, or access the Site, Platform, Services or Content in order to build a competitive product or service. You may access and view certain password-protected areas of our Site, Platform, Services or Content for use solely in conjunction with the Services and as provided in these Terms, and you may not otherwise modify, copy, distribute, or otherwise use the Site, Platform, Services or Content. Under no circumstances may our Services be used by anyone age 13 or younger. All of the Providers who deliver Services through the Site are independent professionals solely responsible for the Services each performs for Registered Users. Cirrus Medical Network is not directly engaged in the practice medicine or any other licensed profession, and does not interfere with the practice of medicine or any other licensed profession by Providers, each of whom is responsible for his or her services and compliance with the requirements applicable to his or her profession and license. Neither Cirrus Medical Network nor any third parties who promote the Services or provide you with a link to the Services shall be liable for any professional advice you obtain from a treating Provider via the Services. ACCESS TO OUR SERVICES AND THE INFORMATION AND CONTENT DISPLAYED ON THE SITE IS PROVIDED “AS IS” AND “AS AVAILABLE” AND WE HEREBY EXPRESSLY DISCLAIM ALL WARRANTIES OF ANY KIND, WHETHER EXPRESSED, IMPLIED, STATUTORY OR OTHERWISE, INCLUDING BUT NOT LIMITED TO, THE IMPLIED WARRANTIES OF MERCHANTABILITY, FITNESS FOR A PARTICULAR PURPOSE, NON-INFRINGEMENT AND TITLE. WE DO NOT WARRANT THAT THE SERVICES WILL BE UNINTERRUPTED, ERROR FREE OR WITHOUT BREACHES OF SECURITY AND YOU AGREE THAT YOU ARE SOLELY RESPONSIBLE FOR ANY AND ALL ACTS OR OMISSIONS TAKEN OR MADE IN RELIANCE ON OUR SERVICES OR THE INFORMATION IN OUR SERVICES, INCLUDING INACCURATE OR INCOMPLETE INFORMATION. WE EXPRESSLY DISCLAIM ANY LIABILITY WITH RESPECT TO ANY INJURY CAUSED BY ANY USER, OR ANY DAMAGE SUFFERED BY ANY USER, AS A RESULT OF THE ACTIONS OR INACTIONS OF ANY OTHER USER, INCLUDING A MEDICAL PROVIDER. IF YOU ARE DISSATISFIED WITH OUR SERVICES OR ANY CONTENT, YOUR SOLE AND EXCLUSIVE REMEDY IS TO DISCONTINUE USING AND ACCESSING OUR SERVICES. SOME JURISDICTIONS DO NOT ALLOW THE EXCLUSION OR LIMITATION OF IMPLIED WARRANTIES, SO IN THESE JURISDICTIONS THE ABOVE LIMITATIONS OR EXCLUSIONS MAY NOT APPLY TO THE USER. WITHOUT LIMITING ANY OF THE OTHER RISKS WE HAVE DISCLOSED TO YOU IN THESE TERMS, YOU ARE SOLELY RESPONSIBLE FOR YOUR USE OF OUR SERVICES, INCLUDING ANY INFORMATION YOU SUBMIT TO US AND YOU EXPRESSLY ACKNOWLEDGE AND AGREE THAT YOUR USE AND ACCESS TO OUR SERVICES AND THE INFORMATION AND CONTENT CONTAINED THEREIN, AND ANY SITES LINKED THROUGH OUR SERVICES AND ANY DATA TRANSMITTED THROUGH OUR SERVICES IS AT YOUR SOLE RISK. ACCORDINGLY, WE DO NOT ASSUME ANY LIABILITY TO YOU FOR OR RELATING TO ANY OF YOUR ACTIONS. You agree to defend, indemnify and hold Cirrus Medical Network and its affiliates, officers, directors, agents and employees harmless from and against any and all claims, losses, damages, liabilities and any other costs and expenses (including attorneys' fees) arising from or related to your: (i) use of the Site, Platform, Services or Content, (ii) your breach of any representation or warranty contained in these Terms, or (iii) your failure to comply with, or other breach or default of or under, these Terms. The interpretation of these Terms and the resolution of any disputes arising under these Terms shall be governed by the laws of the State of Nevada, without regard to the conflict of laws provisions thereof. If any action or proceeding is brought in connection with these Terms, you agree to submit to the personal jurisdiction of the state and federal courts located in Clark County, Nevada, and agree not to bring any action relating to the use of our Services or to these Terms in any court in any jurisdiction other than the state or federal courts located in Clark County, Nevada. We reserve the right to commence and prosecute any legal or equitable action or proceeding before any court of competent jurisdiction to enforce these Terms or to protect our rights or the rights of any third-party rights in or to our Services or any data, information or other content made available via our Services. You hereby waive any right to a jury trial. You also agree that we may bring an action to enjoin any violation of these Terms without the posting of a bond or security, in addition to whatever remedies we might have at law. In any dispute between you and us where we prevail, we shall be entitled to recover our reasonable attorney fees, court costs, disbursements, and other legal expenses. No provision of these Terms will be deemed waived by Cirrus Medical Network unless expressly waived in a writing signed by Cirrus Medical Network. No waiver by Cirrus Medical Network of any provision of these Terms shall be deemed a waiver of such provision with respect to any subsequent matter relating to such provision, and Cirrus Medical Network’s consent to any action shall not constitute a waiver of the requirement for obtaining Cirrus Medical Network’s consent respecting any subsequent action. These Terms, together with your User Agreement, constitute the entire agreement between you and Cirrus Medical Network regarding any services accessed via our Services, and supersede all previous communications, representations, or understandings, either oral or written, relating to the subject matter hereof; provided, however, (a) in the event of an express conflict between any specific provision included in these Terms and an express provision in a User Agreement, the provision set forth in the User Agreement shall prevail, and (b) these Terms shall cover all rights, obligations, terms and conditions not expressly addressed in such User Agreement.